Karen Bone, mother of missing Matthew Bone writes about her experience of setting up a 'Walk For' for her son. Matthew went missing on the 9th of March 2018 from Waterlooville, Hampshire when he was 26 years old. 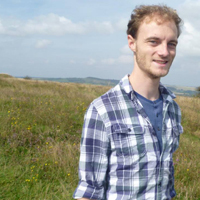 Being a keen walker, I was inspired by Missing People’s ‘Walk For’ campaign and decided it would be a positive thing to do on the first anniversary of our son, Matt, going missing. 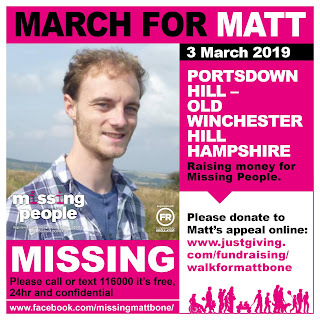 I had an idea for a 12-mile route early on – it would start from Portsdown Hill near our family home and would finish at Old Winchester Hill, a place we had enjoyed with Matt since he was a child. Proper planning commenced early in 2019 and helped us through those dreary days of January - I had to plan the route, recruit walkers and organise the fundraising – simple! Practice runs with friends; one in the snow, one basking in the February sunshine, one involving a Labrador carrying a deceased rabbit for 4 miles were fun and spurred us on. T-shirts arrived, requests to join the walk kept coming and donations were going well. Then on the day itself we woke up to Storm Freya and my heart sank when a journalist phoned to ask if we were still going ahead with the walk – would my walking team suddenly become faint of heart too? I needn’t have worried - despite a last-minute route change to avoid a particularly soggy field, a friend being left behind whilst she awaited the delivery of waterproofs and a rather slippery descent into the village of Hambledon, an incredible 59 walkers turned out on the day. Regardless of the weather conditions, spirits remained high and there was a real feeling of solidarity battling the elements and forging on to the final destination where we were greeted by our support team with hot drinks and cake. 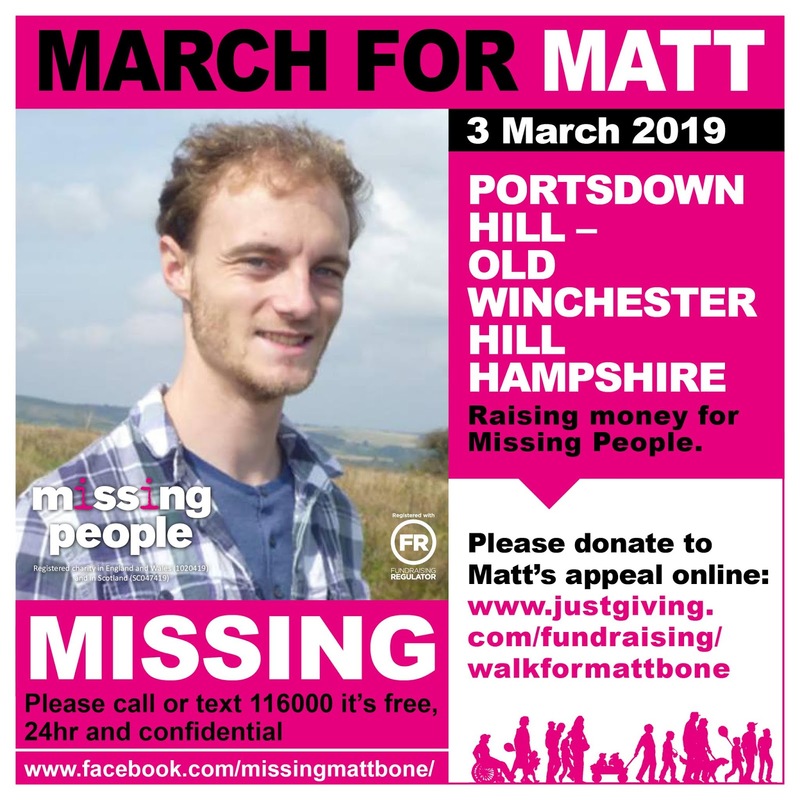 There was a huge sense of achievement among the walkers, young and old alike, and the event provided a perfect opportunity for friends who had offered help in our appeals to find Matt to get actively involved. And not to forget that we raised a significant amount in donations for Missing People, with some people donating twice due to the additional challenge of the weather! Bryony Long, Head of Supporters and Communications at Missing People, said: "A huge thanks to Karen and all her friends for walking through the elements to raise over £4,000 for the charity. This could help us provide 135 specialist counselling sessions for mothers going through the rollercoaster of emotions experienced when a child goes missing. Organising a “Walk For” event is a brilliant way to bring your community together, raise awareness of your missing person and help Missing People continue providing a vital lifeline. If you would like to set up your own walk, let us know by filling in the online form and a member of our friendly team will be able to support you every step of the way."